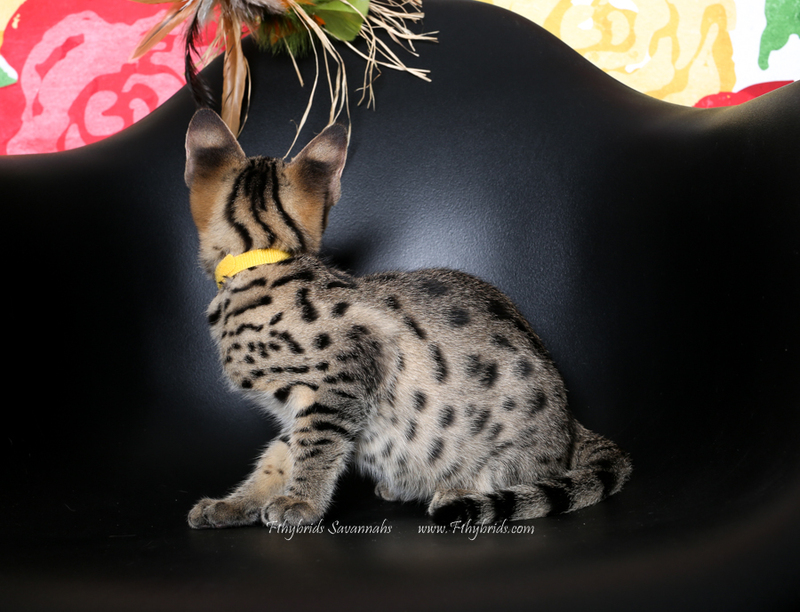 The perfect golden black spotted girl! Looks just like my beloved Omi, I wouldn't complain if this girl stays (Hint hint). The whole package. Darling personality that could charm anyone. Loves people and other animals. She is fearless. All the traits you could desire. She will hop sideways all ridged up and plop herself on your shoulder. She is just just like a yoyo, put her down and she is right back on top of you. She is priceless for her temperament alone. 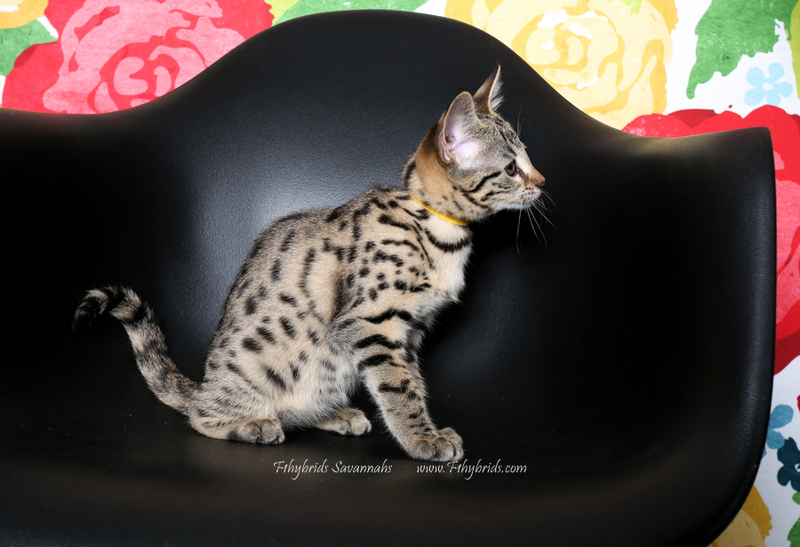 She will leave spayed, micro-chipped, heart ultrasound (clean) and up-to-date on age appropriate shots including rabies.